Please note the estimated waiting time is up to 2 weeks. This carrier is fantastic. They have thought of everything without adding any extra buckles, poppers or velcro, which means it is easy to use with no faff. 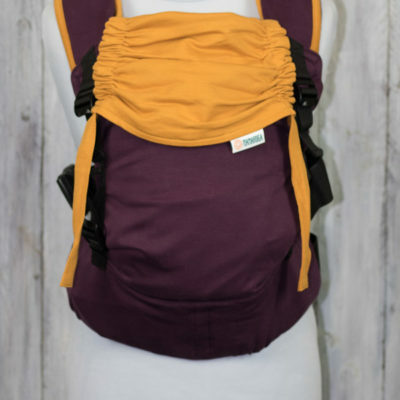 For example the waist band just moves in for smaller babies and rather than perfect fit adjusters the padding just slides along the webbing giving a tighter fit in a back carry, for those who would normally want petite straps. The ladder lock system brings the back of the carrier down to fit a small newborn baby, perfectly supporting their spine. The woven fabric is soft out the box and is a really pretty design. I run a sling library and everyone who has tried the Zensling has gone onto buy one because they are so comfortable, adjustable and easy to use. I thoroughly recommend trying one for yourself.